Jennifer Behr "Blossom" bandeau headband. Five painted flowers with Swarovski® crystal centers. For in-store inquiries, use sku #2110069. 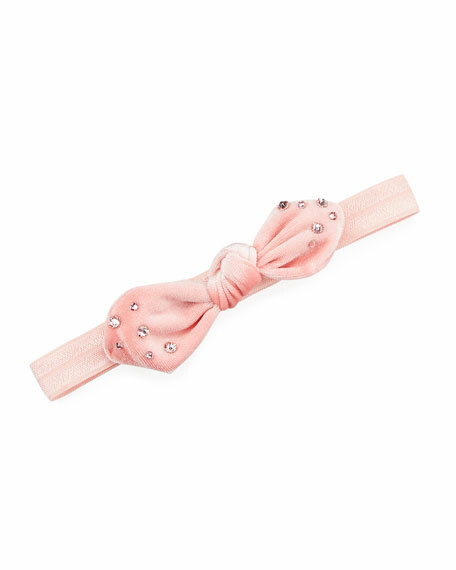 Bari Lynn baby elastic headband. Dyed rabbit fur (China) bow. Swarovski crystal details. Elastic: polyester. Made in USA of imported material. 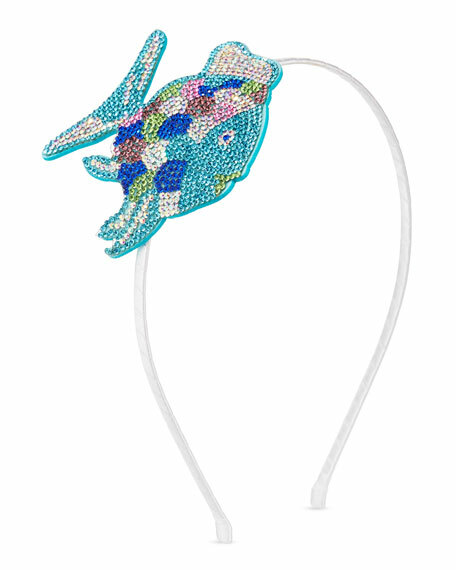 Bari Lynn headband with Swarovski crystal studded fish appliqu. Satin-wrapped flexi-ribbing. Polyurethane backing. Made in USA of imported material.